The biggest skatepark in Bucharest. Concrete bowls, rails, steps, miniramp, funbox, quarterpipes and other fun stuff. 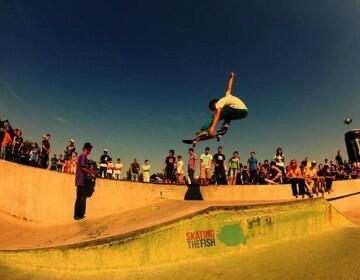 Locals in Bucharest have reviewd Skatepark Tineretului - Sport venues in Bucharest. You can find here description, reviews, address, map, phone, website of Skatepark Tineretului in Bucharest. Visit Bucharest Tips for more Sport venues in Bucharest!